The EEA packaged emulsion production line contains all equipment necessary to produce packaged emulsion cartridges at standard rates of 2.4-12 metric tons per hour. Other rates outside of this range are possible according to customer requirements. Cartridges may be produced in diameters of 25-150mm, and lengths of 160-485mm. 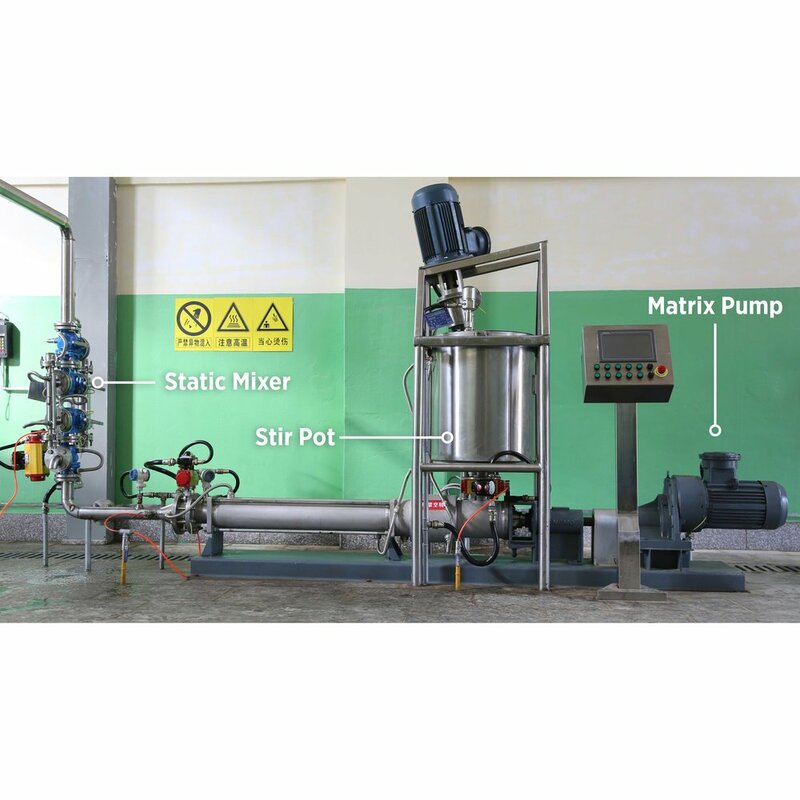 The production line can be configured to suit requirements according to production rate, raw material inputs, and product formulations and is engineered to operate at peak levels of efficiency and safety. The production line includes explosion proof motors and wiring, stainless jacketed piping, custom stainless conveyor assemblies, and a PC-based control system utilizing the latest industrial automation technology from leading brands such as Siemens and Endress+Hauser. The sensor and control technology allow it to achieve accurate and consistent performance. Safety interlocks are in place to monitor critical parameters such as temperature, pressure, flow, level, and electrical current. In the event of an abnormal situation, the control system will take appropriate precautions and alert designated personnel.